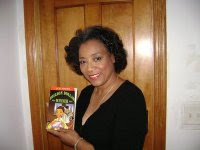 Arlene Jones - Featured Columnist Austin Weekly News: PAY ATTENTION CHICAGO! PAY ATTENTION! If you have never before in your life paid attention to what is going on in this city, now is the time more than ever. Why? Because not only is our economy in the tank but we have some double standards going on in our city. Last Thursday, Chicago police raided a condo on the southwest side. Inside, they found drugs and weapons. They arrested Casey Crawford, 28, who lives at the condo with a young woman. Guess who owns the condo? Asst. Supt. Beatrice Cuello, the No. 3 top cop in the Chicago Police Department and mother of the young woman living in the condo with guns and drugs. How come this high-ranking police official and her daughter are now being given a pass for the guns and drugs found at the condo? Any other person in this city will see their property seized, their lives ruined and their jobs lost - but not if you help run the CPD. In less than 12 hours, the department allowed the daughter to go free and declared her innocent, having nothing to do with the drugs and guns in her condominium. We're not talking about some place with a basement or attic. We're talking about an apartment. Supt. Weiss also attempted to place the blame for no one noticing he wasn't in full uniform on the officer who was assigned to work with the kid. Ald. Carothers made a very salient point. If the department is a paramilitary organization, then only a higher-level officer can question another officer about their uniform standards. In other words, a sergeant can question an officer; a lieutenant can question both the sergeant and officer. But police officers can't question one another about their dress. Weiss had to admit that was the truth. We also got to learn that there has been a burglary at the 35th and Michigan headquarters of a laptop and possibly a desktop computer. Supt. Weiss works on the fifth floor, the same floor where the computers came up stolen. So, hopefully when the Secret Service comes in to check security at individual police stations, they will also take a look at Jody's own backyard to make sure things don't continue to come up missing from right under his nose. A lot has been said about the officer who rode with the 14 year old in the police car. But let me be the first to say that many an officer will tell you that they ride with other officers all the time and never speak more than one or two words between them. The officer who rode with the kid is now suing the city, claiming that her life was endangered by being assigned to a car with a kid. We need to support that officer because just like at most jobs, you don't get to pick and choose your coworkers. Lastly, by now you should have gotten the first installment of your 2008 property tax bill. As many of us struggle to pay the higher bill based on now incorrect assessments-as most neighborhoods houses have lost value-make sure to count the boarded up houses on your blocks or surrounding your home. I drive through the Marquette Park neighborhood several times a week. Every block has two to three boarded up homes and at least two vacant homes where the front porch covered in snow hasn't seen a footprint. All the while, your mayor sits around talking about an Olympic bid-which won't benefit black Chicago, mind you-as if we can afford such a luxury. Pay attention Chicagoans and then get mad. Get angry and remember that those who sit at the head of these tables are elected and not permanently entitled to those jobs. If our country can change presidents every four to eight years, surely we can change one mayor and a bunch of aldermen too.